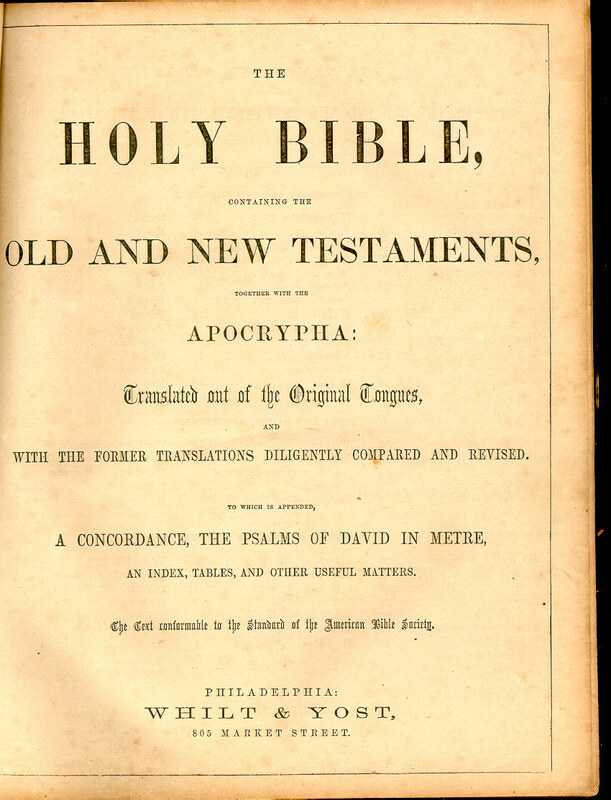 This bible was purchased on eBay, provenance unknown. 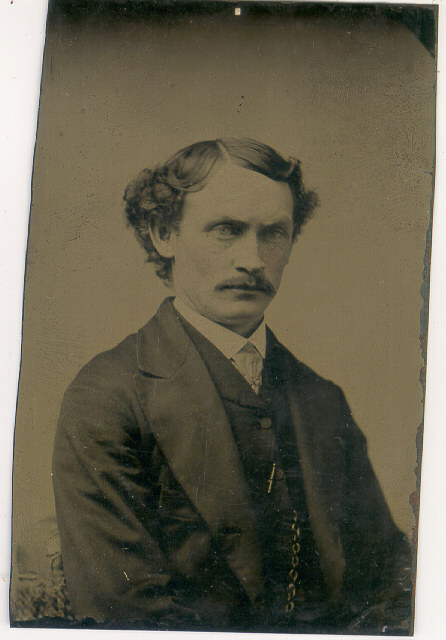 and one tintype of William Meredith. 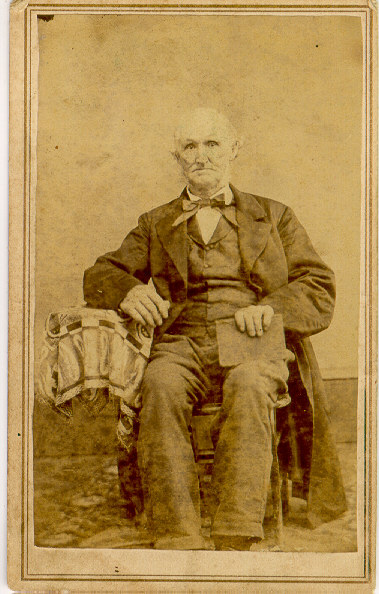 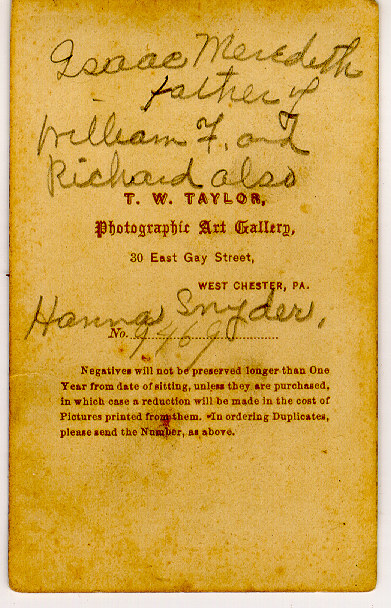 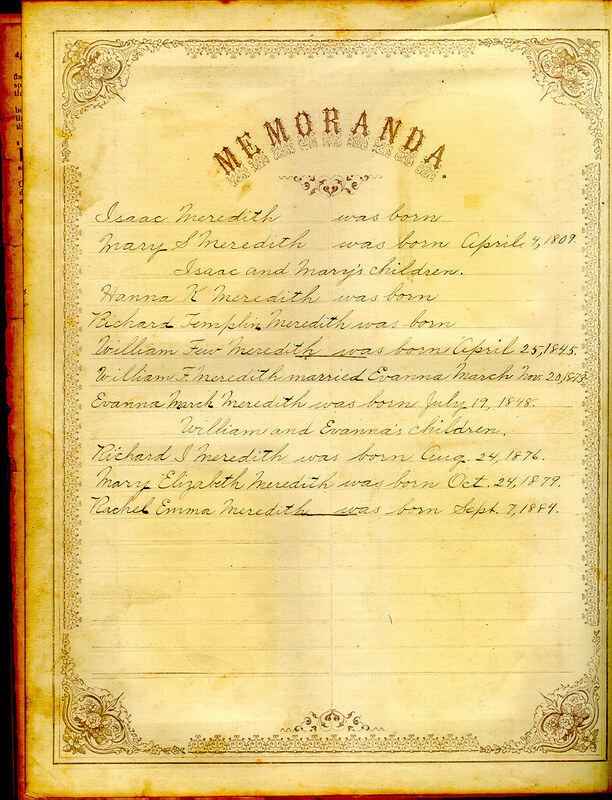 father of William F. and Richard also Hanna Snyder. 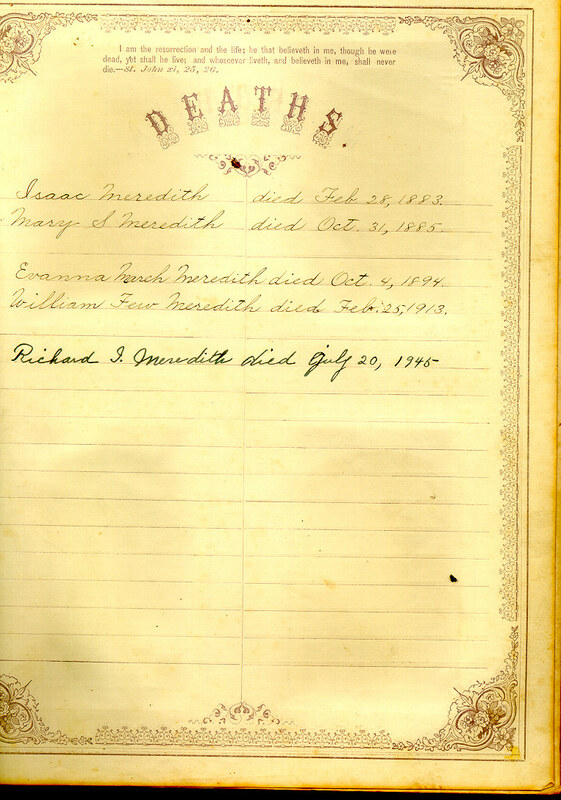 Wm Meredith, Exton Chester Co. Pa.